Cisco and Verizon are delivering new advanced collaboration services. San Jose, Calif and Basking Ridge, NJ March 8, 2016 — Cisco today announced it will team with Verizon Enterprise Solutions to deliver Cisco Spark, a new cloud-based collaboration service, to Verizon’s customers. This is part of Verizon’s plan to offer a broad range of next-generation collaboration solutions. Building on top of their highly successful collaboration alliance, Verizon is taking a leading role in the fast-growing cloud collaboration landscape. 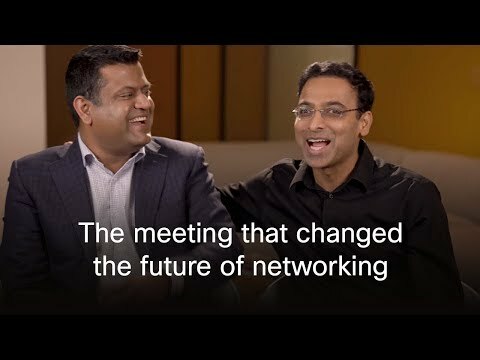 By combining Verizon’s vast mobile assets and world-class network services, leading global unified communications and collaboration portfolio and combining it with Cisco’s strong go-to-market push, the companies will be ideally positioned to develop and deliver new advanced collaboration services. Cisco’s unique approach to cloud places industry leaders such as Verizon at its core. By leveraging the distinctive capabilities and assets of Verizon, Cisco sets a precedent for a new engagement model. Cisco Spark delivers integrated collaboration capabilities to enable a powerful user experience. The new joint offer will deliver Spark Message and Spark Meet features integrated with Verizon’s business collaboration services in such a simple way that it is hard to tell where one ends and the next begins. Read the latest about Cisco Spark here. Hosted in the Cisco Cloud and built on an open, extensible system, the Cisco Spark platform provides powerful APIs and integrations that help developers create useful apps extending the value of Cisco Spark. The joint offer will deliver message and meet capabilities integrated with Verizon’s business collaboration services, including Unified Communications and Collaboration as a Service (UCCaaS), and Verizon’s contact center services. The joint offer will run over Verizon’s wireless and global wireline networks. The new offering will be available later this year to enterprise and government agencies around the globe. "Cisco is putting our leading providers at the center of our cloud strategy. As we bring Cisco Spark and other SaaS solutions to market, we will team with our global service providers to jointly develop, sell and market. This unique SaaS model is not about service providers simply reselling Cisco Spark, but about joint innovation and shared business outcomes." Availability Disclaimer: Some of the products and features described herein remain in varying stages of development and will be offered on a when-and-if-available basis. Such products and features are subject to change at the sole discretion of Cisco. Cisco will have no liability for delay in the delivery or failure to deliver any such products or features.